The khaki slacks are the comfortable yet stylish clothing outfits for everyone and it is also considered as affordable choice for the men who always concern about their budget range. It is also perfect for summer season as they are manufactured with mostly cotton fabrics which are highly suitable for warm weather conditions. There is also lot of things to looking forward to when it comes to the slacks and you also need to be conscious in choosing the right one for you. Nowadays, the manufacturers are also giving more focus on coming with new innovative design patterns of these slacks for their consumers and it also helps you in choosing more personalized option for yourself. 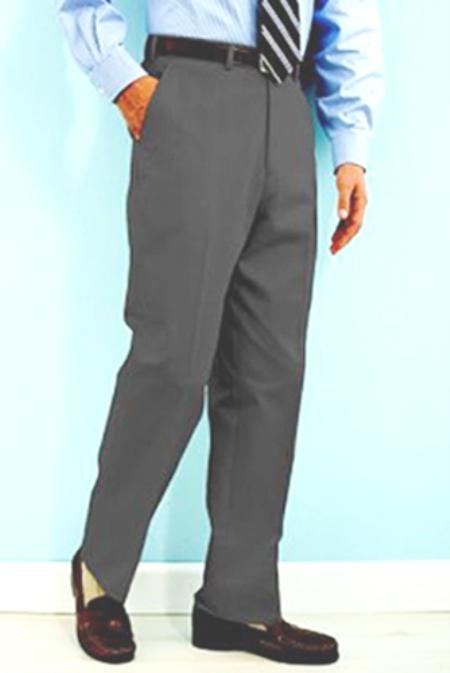 It is also much recommended to have various styles of slacks in order to match it with respect to the occasion. The khaki slacks is being one of the greatest leisure wear of all time for men; there is also a lot of room for being more creative when you are in for casual mood. This is the reason why the slacks are always comes in creative approach in terms of their designs and fashion. As the fashion world keep on changing, the slacks are also changes accordingly and change for the complete better for men in their outlook and attractiveness. At the same time, you also got to focus on the quality of these khakis very carefully in order to make sure that you spend your money with high worth in it. There is lot of brands available when it comes to khaki slacks and it makes the life of men very easier in order to choose the brand that suits their expectations and requirements. It is very simple for you to get more insight on the reputation of these brands with the help of Internet reviews and guidelines from blogs and websites. The brand that you choose also needs to be highly reputed as well as high quality in order to get high value for your bucks. The slacks are also comes in different types of cuts which differentiate one another with their unique outlook. Therefore, you can choose the one which suits your taste and you also need to make sure that the cuts that you choose is appropriate for your outlook personality to get the most out of it. Comfort is an ultimate reason why most of the men wants to go with khaki slacks instead of others as most of these slacks are manufactured with 100% cotton material which provides awesome and comfortable wearing experience for everyone. The comfort factor also leads you to feel more confidence in your outlook which is more important in today's competitive world.